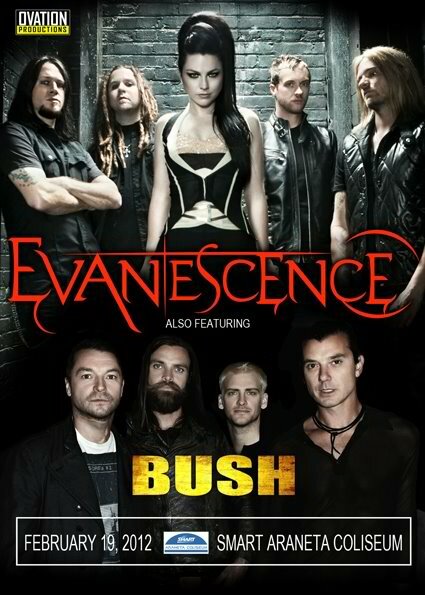 Evanescence is coming to Manila for a one night concert on February 19, 2012 at the Smart Araneta Coliseum in Cubao, Quezon City. The gig will also feature the band Bush. Tickets are not yet available though.